One should know how to handle cards, pressure, adrenaline and when to call a bluff… oh….and at least 1 million euros for the buy-in. Yesterday the Monte-Carlo One Drop Extravaganza has finished, showing great results. The one drop Extravaganza has been in full swing over the past few days. At the start of the event there were 35 confirmed amateur players. This event is recording the largest buy-in tournament in history (buy-in at 1 million dollars). The singer Garou being one of the celebrities present, was present to support his friend Guy Laliberté’s (owner of La Cirque du Soleil) initiative and charity “One Drop”. The driving purpose of this whole Poker tournament is to raise money for One Drop, the organization he founded, which raises funds to give access to safe drinking water around the world. 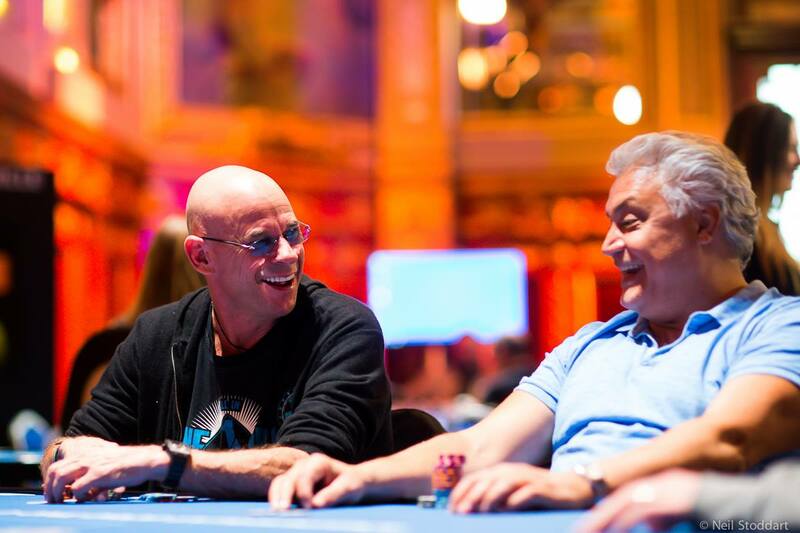 Guy Laliberté chose Monaco to be home to the tournament because of its prestige, and his close ties to Prince Albert II. The idea was also to revive the game of poker whose popularity has somehow migrated elsewhere. On the Prince’s idea of possibly holding a Poker tournament in Monaco, Guy didn’t hesitate. Poker is a great game to socialise around a table, whilst also being competitive. The fact also that both friends are committed to humanitarian causes just made sense. One Drop is here to help all the communities who do not have access or easy access to potable water. Very few people realise that every 20 seconds, someone dies of thirst in the world (including in the USA). In a new twist to this year’s edition (although this tournament is strictly reserved to amateur players), every player had the opportunity to have a professional poker player as a coach during the event. There were 28 amateur players to kick-off the game on Friday afternoon. In their sight, the possibility of pocketing more than € 25 million on Sunday at the end of the tournament. With live electric guitars playing to set the mood for the finals on Sunday afternoon, Guy Laliberté made sure it would be a final worth watching. The Canadian Elton Tsang ended up winning the tournament and the 3rd biggest win in the history of poker (€11,111,111)! He beat Anatoly Gurtovoy from Russia who came second and pocketed €5,427,781 and Rick Salomon from the USA who received €3,000,000 for his 3rd place. This success allows Elton Tsang to rank 21st in the All Time Money List. The event was a great success considering that for every buy-in of 1 million EUR, the sum of €111,111 went to the One Drop Foundation. Total for the One Drop Extravaganza allocated to the foundation was: €3,111,108.